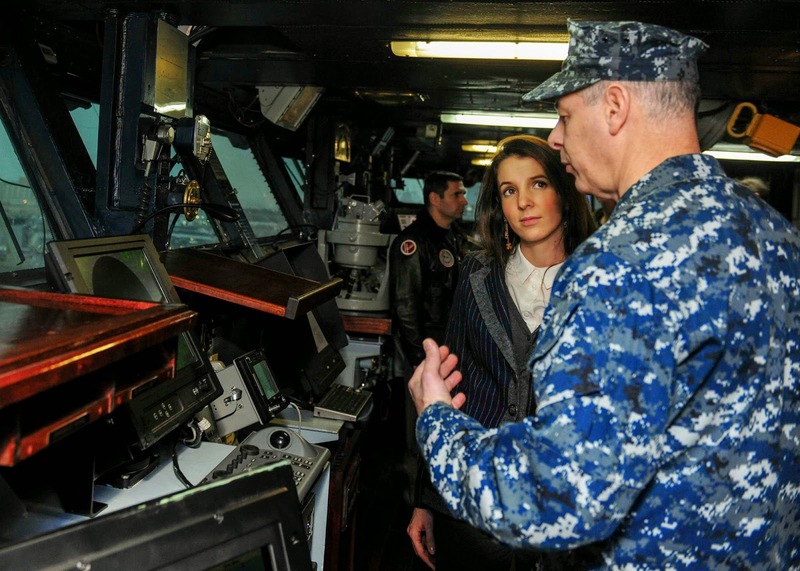 Princess Tessy visited the USS Theodore Roosevelt aircraft carrier in Norfolk, Virginia, today. The Princess currently is in the United States to participate in the 2014 Chiefs of Transformation Conference (COTC) at the Headquarters, Supreme Allied Command Transformation (HQ SACT). The Allied Command Transformation is a NATO military command intended to lead military transformation of alliance forces and capabilities. She got to tour several areas of the ship, including observing photos of the crew in action. A few visuals of her visit can be found at NewsChannel 3.